Spanish delivery startup Glovo has announced plans to raise funds in the first quarter to create a tech center located in Brazil (Reuters). 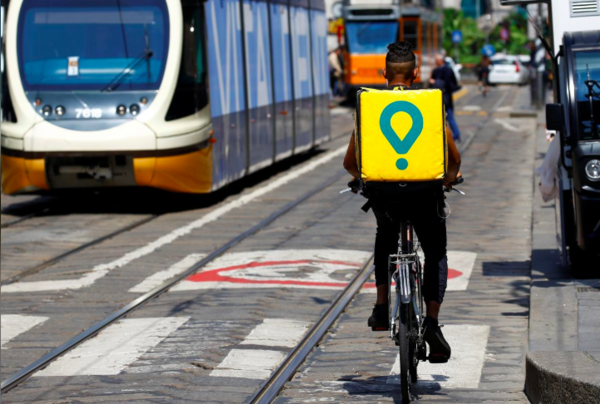 Glovo has roughly 140 employees in the Brazilian market as of January 2019 and looks to fund further Latin American expansion in the coming year. “The scramble for the upper hand in delivery in Brazil is part of a wider proliferation of such apps, including Instacart in the United States, which raised $871 mln in its latest fundraising round and Cornershop, a startup operating in Chile and Mexico which Walmart Inc is buying for $225 million"
The U.S. government announced last Thursday its decision to revoke visas held by government officials serving under the authoritarian leadership of Nicolás Maduro (The Wall Street Journal). These implementation of these travel restrictions is intended to target Venezuela’s Constituent Assembly: the legislative body convened by Maduro in the 2017 elections that sought to replace Venezuela’s opposition-held General Assembly. Spanish ride-sharing company Cabify moves forward with plans to join the Mexican market in 2019 with new brand Movo. According to El Financiero, Scooter and electric motorcycle services will be available in the coming months, according to Cabify’s new Mexico General Manager Ramón Escobar. The recent issue of Global Entrepreneurship Monitor (GEM) ranked Chile as the third most entrepreneurial country worldwide. Maribel Guerrero, academic director for GEM Chile, discussed the importance of the report, as it “places Chile in the same group as other high-income countries such as the United States and other European countries,” (LatAm List). “Chile, like the other two countries with which it leads the ranking, is an entrepreneurial country, but what sets them apart is the quality of enterprises, that is, if they are driven, for example, by opportunity, necessity or innovation,” (Invest Chile). In 2018, Chilean fashion giant Falabella acquired Mexican e-commerce platform Linio for $138 million in one of the biggest M&As of the year. Falabella’s new logistics structure also includes a new warehouse in Santiago, Chile and the integration of Google Play in its local market. According to mds, all offers included in Falabella’s stores and Sodimac shops will also be available in Linio markets. Mexican department store group Liverpool also shifted its focus to e-commerce and improving in-store purchasing experiences for customers. TriLinc Global Impact Funds announced last Monday that it has approved $18 million in trade finance and term loan transactions in Latin America. TriLinc is an impact investments fund that provides financial services to small and medium enterprises in developing economies. With the inclusion of the newly announced Latin American deal, the company’s total financing commitments accumulate to “$443.6 million for business expansion and socioeconomic development through its holdings in Sub-Saharan Africa, Latin America, Southeast Asia, and Emerging Europe,” (BusinessWire).